Grant Gustin has wedding bells in his near future. 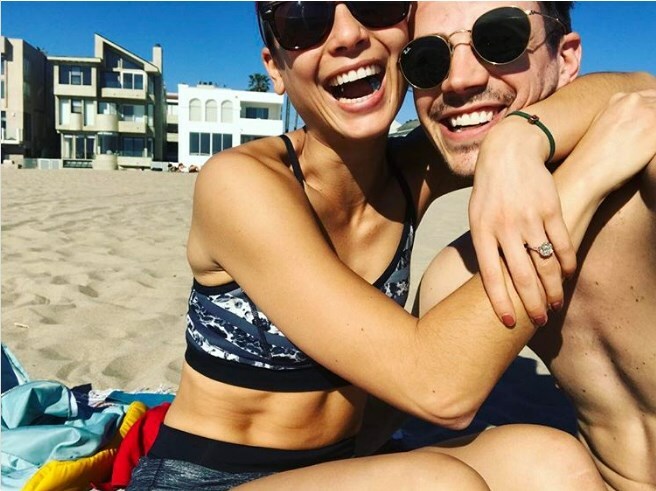 On Saturday, The Flash actor announced his engagement to longtime girlfriend LA Thoma with a sweet post on Instagram. Even though he didn't include a caption for their beachside selfie, her sparkly ring did all the talking. Not to mention those huge smiles on their faces. Congrats to the happy pair!